Well the author of the email has been charged. JS Online: Madison - A 26-year-old woman was charged Thursday with two felony counts and two misdemeanor counts for allegedly making email threats against Wisconsin lawmakers during the height of the battle over Gov. Scott Walker's budget-repair bill. The story doesn't end here. What the Journal Sentinel leaves out of their story is that Ms, Windels is a teacher. Not just a plain old teacher but an early childhood development teacher. The Underground Conservative has all the details here. In a sane world Ms. Windels would be terminated immediately. No one who can spew that kind of hate and show such amazing stupidity should ever be allowed within 2 feet of a young and impressionable mind. One can only imagine what might happen if Ms. Windels became "disgusted and very upset" by an unruly pre-schooler. Gateway Pundit links to a story on Big Government about a long lost video of Van Jones. In the video Van Jones is bashing America just one day after the 9/11 terror attacks. At a rally in Oakland on the night after the 9/11 attacks Van Jones (at about the 4:38 mark; HT to NewsBusters.org commenter Merkava) tells a far-far-left audience that …. There has been a steady rehabilitation campaign of Van Jones' image. Even New York schools using Van Jones as a role model in their human rights curriculum. After this video starts making the rounds, Van Jones will have to start back at square one on his rehabilitation campaign. Read the full details of Van Jones involvement at this rally here. 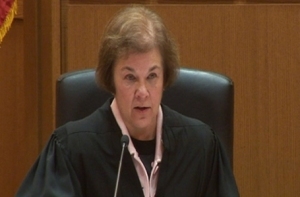 WISC-TV: Dane County Circuit Judge Maryann Sumi issued the amended ruling at 8:15 a.m. on Thursday. She had earlier issued an emergency order blocking Wisconsin's secretary of state from publishing the law, called Wisconsin Act 10. However, Sumi re-issued her order on Tuesday after a hearing and this time, she has warned that any officials who violated it will face sanctions. The judge further amended the ruling on Thursday to read, "Further, based on the briefs of counsel, the uncontroverted testimony, and the evidence received at the March 29 evidentiary hearing, it is hereby declared that 2011 Wisconsin Act 10 has not been published." Wisconsin Democratic Senators run away rather than do their jobs. This prevents a quorum for bills that are primarily financial in nature. Wisconsin Republican Senators end up passing what they can, including a critical union reform bill. Having returned from self-imposed Illinois exile, Wisconsin Democrats find a convenient judge (Maryann Sumi) to issue a Temporary Restraining Order (TRO), on what is frankly a misunderstanding of the law. Judge Sumi makes a mistake in the TRO by only enjoining the Secretary of State (Democrat) from publishing the law. For example, she did not enjoin the Legislative Research Bureau (LRB) from publishing the law, despite the fact that they are required to by law. The LRB publishes the law, as per their statutory requirements; as the TRO did not cover that department, they have no choice. On Monday, the Wisconsin Department of Justice (DoJ) points this detail out to Judge Sumi and asks her to vacate the order, given that the law is published. On Tuesday, Judge Sumi reissues her TRO to prevent implementation of the law. On Wednesday, the Wisconsin Department of Administration (DoA) points out that this ruling was flawed in that it: did not in fact indicate that the law is not in effect; explicitly declined to state that the law was not legally published; and since when did Judge Sumi get to presume to drag the DoA (a non-party in the original dispute) into this mess she made in the first place? On Thursday, Judge Sumi has to fix her TRO again to rule that the law is not published, in a fashion that satisfies the DoA. At some point in all of this Judge Sumi somewhat plaintively (if you’ll pardon the pun) wonders aloud why the legislative branch simply just doesn’t pass the law again. Keep in mind all of this foolishness is over a perceived technical mistake pertaining to how much time was given to announce the vote of the bill. Whether a mistake was made or not, the outcome would have been exactly the same ... the bill would have passed because Democrats do not have enough votes to stop it. From this simple fact alone, Judge Sumi had no business issuing a Temporary Restraining Order (TRO) in the first place. This judge should be removed from the bench immediately, not just because she is a partisan hack with family ties to the unions, but because she has proven herself to be absolutely incompetent. Scott Walker and the Republicans are foolishly going to comply with the ruling. If I were them I would pass the bill again and publicaly state they are doing it because they have zero faith in Judge Sumi's impartiality and competence. To do anything less only gives credence to a damn fool. On Monday Obama stood in front of the American people and told us that regime change was out of the question and that our operation in Libya was strictly to protect the Libyan people. Obama [emphasis mine]: Now, just as there are those who have argued against intervention in Libya, there are others who have suggested that we broaden our military mission beyond the task of protecting the Libyan people, and do whatever it takes to bring down Qaddafi and usher in a new government. Apparently this was just a major load of cow chips. Reuters is reporting today that between two to three weeks ago, Obama signed a secret order, known as a presidential "finding",authorizing covert U.S. government support to help the Libyan rebel oust Qadaffi. 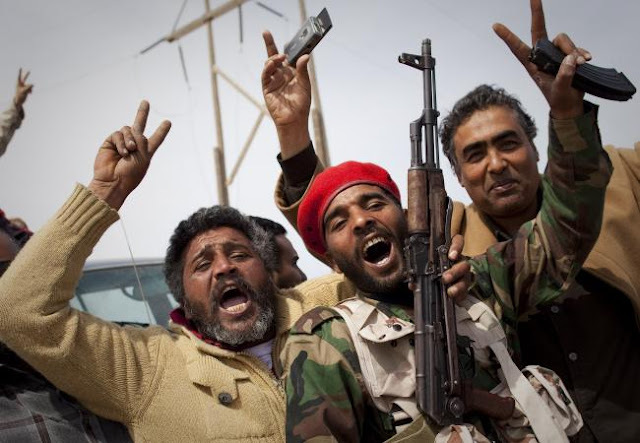 Reuters: President Barack Obama has signed a secret order authorizing covert U.S. government support for rebel forces seeking to oust Libyan leader Muammar Gaddafi, government officials told Reuters on Wednesday. As is common practice for this and all administrations, I am not going to comment on intelligence matters," White House spokesman Jay Carney said in a statement. "I will reiterate what the president said yesterday -- no decision has been made about providing arms to the opposition or to any group in Libya." I guess we can either call this back door regime change or regime change a la Kinetic Military Action. Either way we are being lied to ... big time. No wonder there is all this talk about arming the rebels. It appears it has been an option all along, even though we still are not 100% sure who the rebels are. One of the most important things any Commander In Chief can do is to level with the American people as best he or she can about what we are risking our sons and daughter's blood for. In the case of Libya, I don't think we have the foggiest idea what we are truly doing over there. Hope and change, anyone? Obama has hit new lows in the Quinnipiac poll. Forty eight percent of voters disapprove of Obama's job performance and 50% say Obama does not deserve to be reelected. 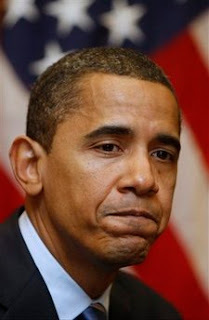 Quinnipiac: American voters disapprove 48 - 42 percent of the job President Barack Obama is doing and say 50 - 41 percent he does not deserve to be re-elected in 2012, both all-time lows, according to a Quinnipiac University poll released today. I would like to use this poll to point out something to some conservatives who fret over Obama not being beatable in 2012. Obama's approval numbers, like every president, are directly tied to events the nation faces. Depending on how he handles these events his approval will either climb or crash. In this case his handling of Libya is pulling him down. Thus, as we see polls today showing Obama beating possible Republican rivals, we have no idea how events in the future will affect Obama's poll numbers. Republican challengers do not face the same consequences because they only have to speak in the hypothetical about how may handle a given crisis. The even have the luxury of waiting until Obama acts first. So to those worry warts out there, calm down until 2012. Make sure to read all of the Quinnipiac poll, there are some rather interesting results on how Americans view Libya. For further discussion of Quinnipiac's poll results see Hot Air. 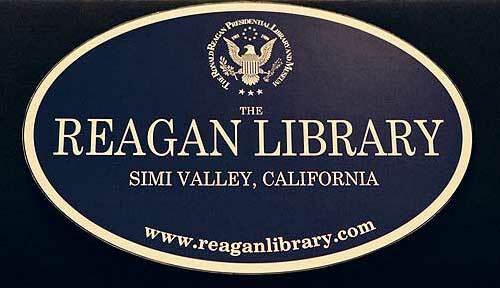 The Republican primary debate scheduled for May 2 at the Reagan Library has been moved to September 14. This is the debate that will be cosponsored by Politico and NBC. 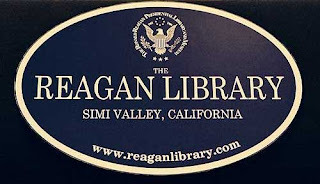 Politico: The Ronald Reagan Presidential Foundation has postponed its debate for Republican candidates from May 2 to September 14. The move, announced Wednesday in conjunction with cosponsors NBC and POLITICO, follows an unexpectedly slow start to the Republican presidential nominating contest.Organizers worried that the May 2 debate, which was announced shortly after the midterm elections last November, would not attract candidates who will eventually get into the race but are delaying announcements for legal and political reasons. Only one top-tier candidate, former Minnesota Gov. Tim Pawlenty, has officially created an exploratory committee. Even with a new date set, Republicans should really consider skipping this debate all together. Since 2008, both Politico and NBC have shown themselves to be less than impartial. Since scores of Democrats flatly refuse to go on Fox News cause they find it biased, why can't Republicans flatly refuse to deal with the likes of Politico or NBC? I think skipping this debate could be a way for the right to finally call out some of the biggest hacks in the media. I am not going to hold my breath for it though. As Sarah Palin has said, some Republicans have the fighting instinct of sheep. Breitbart TV: Chicago media reported on a recent march in Chicago as being an "Anti-War" march organized by students and "faith based groups" who "hope to spark change in our democracy." What they left out was the clear fact that the march and rally had much less to do with the Iraq war than it did about a far-left socialist agenda. Citizen journalist "Rebel Pundit" provides the information the media chose not to tell their viewers. Meanwhile, one moron brings a stupid "witch doctor" sign to a Tea Party rally and we have a week's worth of stories about the '"racism in the Tea Party." Nothing too surprising here for us on the right. At left wing rally after left wing rally, international socialist and communist groups and have been coming out of the woodwork. However, videos like this may prove helpful to some of our friends on the left. This weekend two of my dearest lefty friends stayed over. Inevitably, we got to talking about politics and the subject of socialists high jacking the Democratic Party came up. I showed them video after video of socialists at all kinds of left wing rallies, from pro-illegal immigration rallies in Arizona to pro-union rallies in Wisconsin and even the anti-cuts rallies in the UK. While my left wing friends did not concede that I was right, the look on their faces told me all I needed to know. They felt snookered. The lesson here is to save these videos, make a nice library of them and pass them on to any old school liberal friend you may know. It might just be the eye opener they need. Last week Herman Cain attended the Conservative Principles Conference in Iowa (see video of his speech here). After the event someone from the lefty site Think Progress asked Cain if he was comfortable appointing Muslims to his cabinet or the Supreme Court. Herman Cain gave a very straight up answer. Needless to say, a mini firestorm erupted. Herman Cain then went on Neil Cavuto's show and again stood by his words. I understand where Cain is coming from. Because of Muslim extremists, a certain amount of caution must be used when dealing with Muslims. Failure to do so is both foolish and dangerous. However, given the way Cain has handled the question, it is all too easy for the left to twist his words into something else. It would have been far better to answer the question in the positive rather than the negative. For example: Yes, I would appoint a Muslim to my cabinet or the Supreme Court, but only after I was 100% sure they were not a closet extremist trying to push Sharia Law. As I have stated on this blog several times, distractions are going to highly sought after by Obama and the left in 2012. They have little choice but to look for distractions given Obama's abysmal performance on the economy, jobs and the debt. Any candidate who provides Obama with distractions, will find themselves struggling to stay on message when it comes to those three big issues. Gingrich has destroyed his 2012 chances by setting up several distracting topics for the left. Cain's Muslim answer fits this bill as well. Herman Cain also has another problem. He is relatively unknown outside conservative circles. Therefore it is crucial that he gets to define himself before the left defines him. Cain's blunt answers to this Muslim question makes it very easy for the left to define him as a bigot. For independents who are just casual followers of politics, the bigot charge can really stick. Fortunately for Cain it is still early enough to repair this self-inflicted wound. However, Cain must understand that he cannot afford to give the left another opening like that again. If he does, he will make himself a sure loser just like Gingrich did. Disclosure: I still like Herman Cain and he is still one of the few I am considering for 2012. One of my chief concerns about him is how he acquits himself against a left wing onslaught. How he handles this issue going forward will be quite telling for me. Marco Rubio has an Op-Ed in the Wall Street Journal tomorrow where he details his reasoning for why he will vote against raising the debt ceiling. Some say we will go into default if we don't increase the debt limit. But if we simply raise it once again, without a real plan to bring spending under control and get our economy growing, America faces the very real danger of a catastrophic economic crisis. I know that by writing this, I am inviting political attack. When I proposed reforms to Social Security during my campaign, my opponent spent millions on attack ads designed to frighten seniors. But demagoguery is the last refuge of the spineless politician willing to do anything to win the next election. 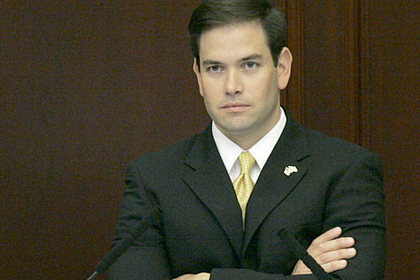 The arguments Rubio makes in his Op-Ed are the kinds of things the Republican leadership should have been saying loudly on November 4, 2010. Democrats have taken the lead in messaging with claiming that failure to raise the debt ceiling will lead to economic Armageddon. Republicans were handed a mandate back in November, there is little reason to be coy about using it. Republicans should have set a firm goal of something like $500 billion in cuts for the 2012 budget then come up with only $250 billion worth of cut and then demand the Democrats come up with the rest. This would have been a far better strategy than letting Democrats sit back and demand Republicans detail where all the cuts are coming from. Yesterday I told you that Trump may have deliberately released an unofficial copy of his birth certificate so that he could quickly turn around and release the original. The idea behind this is twofold. First, to weaken the argument that there is no difference between a certificate of live birth and a long form birth certificate. It will be harder to make that argument after everyone made a stink of what Trump released yesterday. Second, the stunt was designed to show how quick and easy it is to silence suspicions and criticism by just producing the document. ABC News: Trump, who has been putting pressure on Obama lately to make public his long-form birth certificate from Hawaii, decided to set a good example and release his own on Monday. Only problem was, the document that Trump provided to the conservative Website Newsmax wasn't his actual birth certificate, but rather a "hospital certificate of birth." The image came with an accompanying memo from a member of Trump's staff. "A 'birth certificate' and a 'certificate of live birth' are in no way the same thing, even though in some cases they use some of the same words," wrote Trump staffer Thuy Colayco in a message to ABC News. "One officially confirms and records a newborn child’s identity and details of his or her birth, while the other only confirms that someone reported the birth of a child. Also, a 'certificate of live birth' is very easy to get because the standards are much lower, while a 'birth certificate' is only gotten through a long and detailed process wherein identity must be proved beyond any doubt. If you had only a certificate of live birth, you would not be able to get a proper passport from the Post Office or a driver’s license from the Department of Motor Vehicles. Therefore, there is very significant difference between a 'certificate of live birth' and a 'birth certificate' and one should never be confused with the other." Trump's little stunt is going to give him more ammo in his birth certificate battle. A battle I am sure is designed more to promote his own brand, rather than his presidential aspirations. 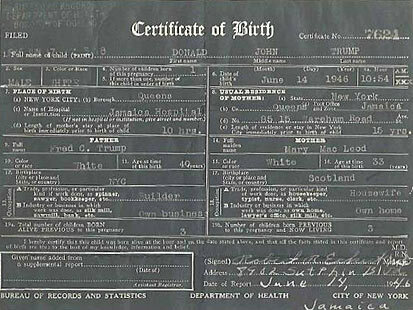 Note: As someone who was born in New York City, I would like to point out that the copy of the birth certificate Trump released today is the original from way back in the day. Many agencies no longer accept the old style birth certificates because they were so easy to alter. The examples I showed yesterday, are the ones currently issued by New York City's Department of Health. You can get the new versions in about an hour for $15. 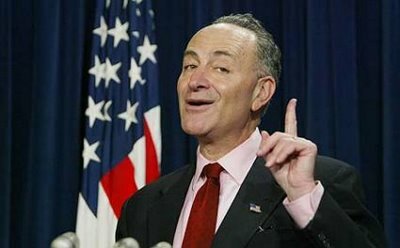 The New York Times: Moments before a conference call with reporters was scheduled to get underway on Tuesday morning, Charles E. Schumer of New York, the No. 3 Democrat in the Senate, apparently unaware that many of the reporters were already on the line, began to instruct his fellow senators on how to talk to reporters about the contentious budget process. I am very surprised that The New York Times even bothered to report this. It will also be very interesting to see which news outlets carry the language without mentioning this call. The Democrats are not serious people. Keep in mind we would not be looking at a possible government shutdown if Chucky and crew bothered to pass a budget last year. If Boehner has half the testicular fortitude as he does tears, he would start calling out Chucky and the gang as extremists who want to bankrupt the nation. I watched and read Obama's speech on Libya and I still find that there are tons of questions left unanswered. While Obama tried to make the case that humanitarian circumstances and the rebel's request was the reason why we intervened in Libya, he never told us what might happen if a similar situation arises in yet another Middle Eastern country. Although Obama tried to say we were not engaging in nation building or regime change, his own description of what we are doing over there makes clear we are doing those two very things. Tomorrow, Secretary Clinton will go to London, where she will meet with the Libyan opposition and consult with more than 30 nations. These discussions will focus on what kind of political effort is necessary to pressure Qaddafi, while also supporting a transition to the future that the Libyan people deserve — because while our military mission is narrowly focused on saving lives, we continue to pursue the broader goal of a Libya that belongs not to a dictator, but to its people.One of the most important questions our actions in Libya is who exactly are we helping? Throughout the entire speech Obama never mentions the rebels but only refers to "the Libyan people". After all should Qaddafi leave power, we will have to deal with whomever comes to power. Shouldn't we not be 100% sure they are an improvement over Qaddafi and not worse? Other questions I still did not hear answers to was, how long is this going to last? If Qaddafi hunkers down and digs in, he will always remain a threat to the security of the Libyan people and our role of protecting the Libyan people becomes an open ended affair. Another important question was how are we going to pay for this. Obama tells us about the $33 billion frozen from Qaddafi and how that money will be used to help pay for Libya to rebuild. But what about our military tab? We are no longer the wealthy nation we once were and at $600,000 a pop Tomahawk missiles don't grow on trees. Something tells me as our involvement in Libya drags on, these nagging questions are going to assert themselves more and more. Hopefully the answer to these questions won't be too painful for America. Is Donald Trump setting up the left on the birth certificate issue? Donald Trump released an unofficial copy of his birth certificate to Newsmax today. NewsMax: Donald Trump, who has been making television appearances calling for President Barack Obama to release his official birth documents, released his birth certificate exclusively to Newsmax on Monday. 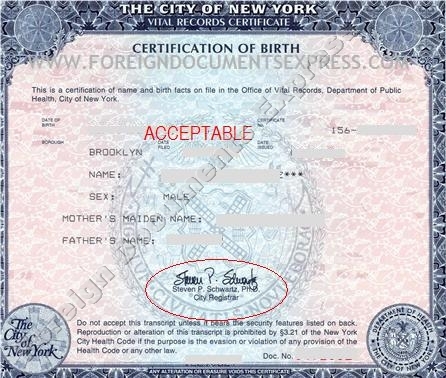 As Ben Smith from Politico notes, this is not an official New York City birth certificate. 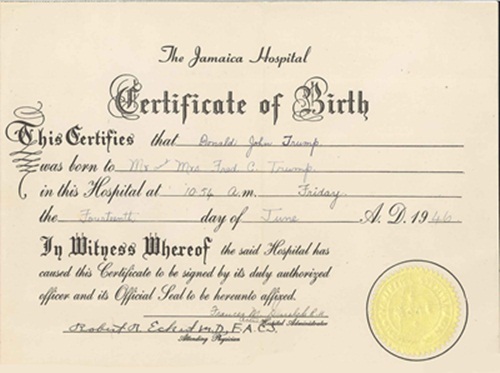 The paper that Trump released says "Jamaica Hospital" on top and lists the date and time of what he says was his birth to "Mr. and Mrs. Fred C. Trump." The piece of paper has a seal at the bottom. 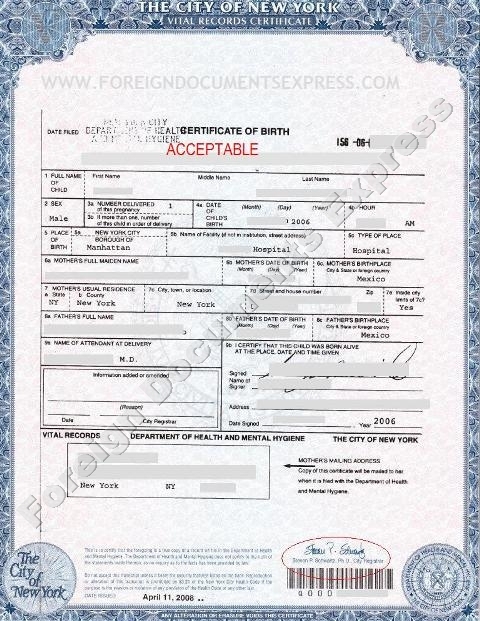 This is what official New York City birth certificates look like. The left will no doubt rush to ridicule Trump for not releasing his official birth certificate. Here is the rub, in ridiculing Trump, the left is actually making Trump's argument for him. If Trump quickly turns around and releases the long form of his birth certificate, what then will be the argument for Obama to continue hold up his? It will be very funny to watch those who will ridicule Trump now try to go back to saying that they type of birth certificate Obama released doesn't matter. In the end, Trump will not run and will not be successful in getting Obama to release the long form of his birth certificate. However, Trump might very well succeed in diminishing the sting of the "birther" label. The Hill: Senate Majority Leader Harry Reid (D-Nev.) on Monday urged Speaker John Boehner (R-Ohio) to ditch members of the Tea Party and cut a deal with Democrats to avert a government shutdown. Reid insisted it is those GOP internal divisions that are threatening to shut down the government after April 8, in less than two weeks. “For the sake of our economy, it’s time for mainstream Republicans to stand up to the Tea Party and rejoin Democrats at the table to negotiate a responsible solution that cuts spending while protecting jobs," he said. Last week Reid put $7.5 billion in discretionary cuts and $3.5 billion in mandatory savings on the table as a counteroffer to the $51 billion in additional cuts the GOP is seeking. 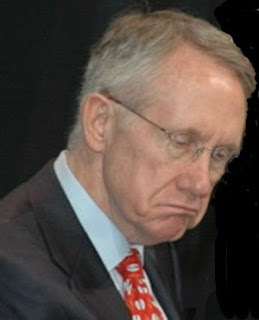 Reid is trying to use the TEA Party as the reason for a government shut down. It won't work. Anyone with two eyes can see that the piddly little cuts Democrats and the Republican leadership are playing with are completely inadequate for tackling the deficit. So pretending that "progress" could be made if Boenher abandon the more sizable (but still inadequate) cuts the TEA Party wants is absurd. The fact that Democrats have gone from zero cuts to a possible $20 billion, pretty much tells us that they are finding it harder and harder to resist spending cuts. Had the Republican leadership not been so "compromising" about cuts, Reid would probably be negotiating much more sizable cuts by now. Former Speaker of the House Newt Gingrich has been making a lot of noise about running for the White House in 2012. In fact, Newt's chatter has been so loud that Fox News had to dump him as a paid contributer. 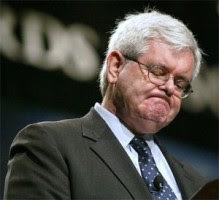 Although Gingrich has not formally announced yet, I think it is becoming quite clear, Newt needs to abandon all hope right now. I say this because Newt has beclowned himself before he has even begun to campaign. First, there was that oh so crazy excuse about his infidelity he gave to David Brody during an interview for CBN. Then there was Newt's conflicting statements on Libya that the left is having an absolute field day with. Now we have Newt trying to explain away the hypocrisy of his infidelity vs. Bill Clinton's infidelity. POLITICO: Pressed on “Fox News Sunday” about his adulterous past, Newt Gingrich said it was not hypocritical for him to impeach Bill Clinton while he cheated on his own wife because he never lied under oath. The all-but-official candidate for the Republican presidential nomination granted that his own extramarital affairs will be an issue in the coming campaign, but he sounded hopeful that voters will, if they don’t forgive or forget, at least look the other way. “We’ll find out six months or a year from now whether people are forgiving and whether they put in context events that are 10 and 15 years old,” Gingrich said. The former House speaker from Georgia said it didn’t bother him that he was throwing rocks at Clinton as president while living in his own metaphorical glass house. He said he would have resigned his leadership post if he didn’t think he could go after Clinton for breaking the law. “Fox News Sunday” host Chris Wallace noted that Gingrich cheated on both his first and second wives. Gingrich tried to contextualize the much-mocked clip.“I went on to say that I had to seek God’s forgiveness, and I had to seek reconciliation and I had to believe that being genuinely repentant mattered,” he said. He touted his happy third marriage to Callista Gingrich, a former aide who figures prominently in most of his public appearances.Callista Gingrich is 22 years younger than Newt Gingrich. Ironically, Monica Lewinsky was 22 years old when she had her sexual encounters with Clinton. All of these issues are distraction. Distractions are the very things Obama and the left desperately need in order to succeed in 2012. Obama is extremely vulnerable to attacks on his record regarding the economy, jobs and the deficit. Any candidate with a chance of beating Obama must be able to "focus like a laser" on these issues and cannot be distracted from them. Newt Gingrich has already provided way too many distractions to ever succeed in this role. So, I would like to offer Newt Gingrich some sound and sage advice; pack it in before you make a bigger clown of yourself. You have already damaged yourself beyond repair and there is just no need to go any further. Drudge Report: Staffers with Vice President Joe Biden confined an ORLANDO SENTINEL reporter in a closet this week to keep him from mingling with high-powered guests gathered for a Dem fundraiser. A statement from the VP's office noted that "It is standard policy for the Vice President's office that a print pooler cover the speaking program at fundraisers. This has been the consistent policy throughout the Administration. At times, these fundraisers are at private homes and 'hold rooms' are provided for pool reporters to wait for the speaking program to commence. 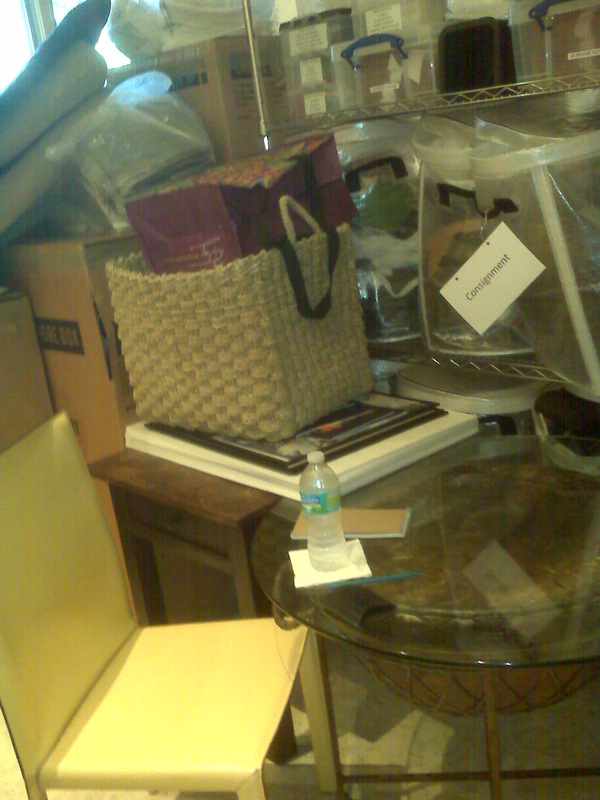 A hold room, however, should not be a storage room. This was the unfortunate mistake of an inexperienced staffer and the Vice President's office has made sure it will never happen again." I don't know what is sadder here. Is it the complete lack of transparency that a reporter cannot report on exactly whom the Vice President of the United States is associating with or that a reporter, whose job is protected by the Constitution, would actually submit to this kind of treatment? Whatever the case may be, the truth is both problems are the reason why we have such crappy government today. In our nation the media is suppose to exist as the eyes and ears of the people. It is their job to keep close tabs on all politicians (from both parties) and alert us when these politicians go astray. Can any of us honest say this is what we are getting when politicians get to decide when they wish to be transparent and the media sheepishly goes along with it? Great damage has been done to this nation, especially during this last decade, and much of the blame falls right at the feet of our lazy, lopsided and sheepish media. 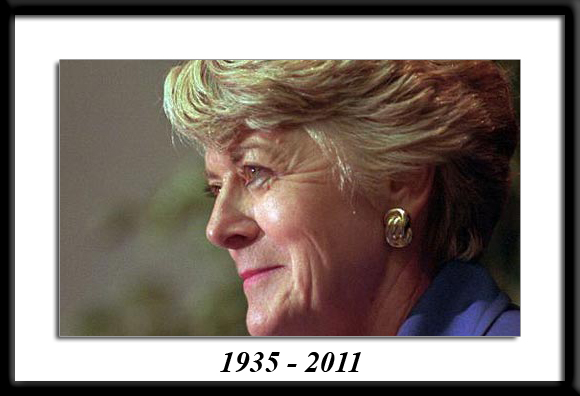 The Hill: Geraldine Ferraro, who made history in 1984 as the first woman nominated on the ticket of a major national party, died on Saturday. She was 75 years old. According to a statement from her family, Ferraro passed away at Massachusetts General Hospital due to complications from multiple myeloma, a blood cancer she battled for twelve years. “Geraldine Anne Ferraro Zaccaro was widely known as a leader, a fighter for justice, and a tireless advocate for those without a voice," said her family in a statement. I remember when Geraldine was chosen. It was so controversial for the times. I recall the discussions of the day. Today, so many of those discussions would be easily termed sexist and primitive. Surprisingly, despite the advance of women in politics it would be 24 years until other women would be on major party ticket at the top level. I do have to say that they don't make Democrats like Ferraro anymore. I remember how despite ideological differences, Ferraro's treatment of Palin in 2008 was nothing but pure class. Where have Democrats like that gone? Palin has left a note of condolence on her Facebook page today. The feminists of NOW can learn a lot from the relationship between Ferraro and Palin. They truly understand what it means to support all women and not just the ones that share an ideological dogma. Rest in peace Geraldine and thank you for your service. The New York Times: General Electric, the nation’s largest corporation, had a very good year in 2010. This story is a perfect example of everything that is wrong with Washington today. I hardly know where to begin with pointing out the problems. Here we are a nation that is $14 trillion in debt and here we are giving $3.2 billion in refunds! Chalk this up to our insane progressive tax system with its myriad of social engineering tax breaks and crony capitalism loopholes. The entire system should be scrapped and a flat tax with no deduction or exemptions should be instituted. This story also represents the cozy relationship between large corporations and the Federal government. Corporations, unions and special interest groups will always be able to raise vast amounts of money to sway the political process in their favor. I often think that banning contributions from anything but individuals should be the way to go. Set contributions to a modest level so that no one individual will have great sway. It would wipe out cronyism and help to bring the cost of campaigns down. Furthermore, it would also cut down on all the pandering as politicians would have to reach out to a much broader array of voters in order to raise cash. We also have to once again point out the blatant hypocrisy of supporting progressives with their love of taxation and then ducking the high taxes that are always the result. G.E. 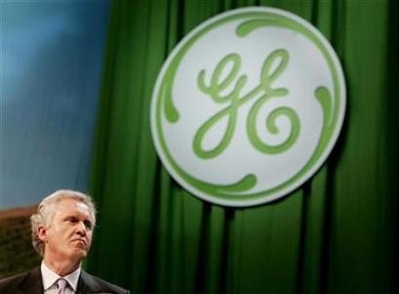 's CEO Jeffrey Immelt was on board for the higher taxes of Cap and Trade. No doubt knowing that G.E. could use its money and insider influence to duck the high taxes while its smaller competition would drown from it.